WASHINGTON HEIGHTS — If the United Palace of Cultural Arts has its way, generations of uptown musicians will be playing in its grand theater for years to come. 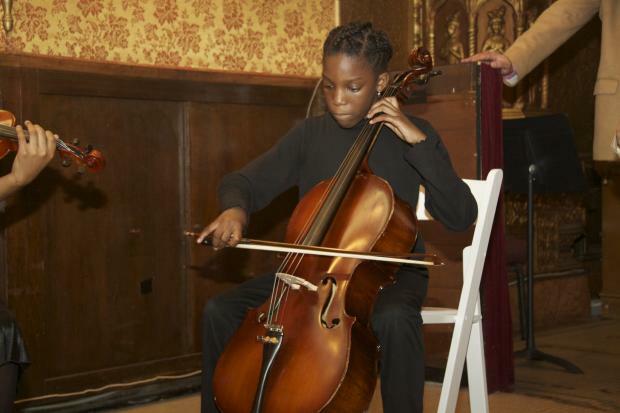 The newly created arts organization, housed in the United Palace Theater on Broadway and West 175th Street, teamed up with the Harmony Program, a nonprofit that receives funding through CUNY, to kick off its new music education program for elementary schoolchildren uptown. The New York-based program embraces the El Sistema model, used by Venezuela’s National System of Youth and Children’s Orchestras, which provides free musical training to children. Anne Fitzgibbon, Harmony’s executive director, said the organization's goal is to teach children who otherwise would not have opportunities to learn music and play instruments. With programs in Brooklyn, Harlem and The Bronx, organizers expect to have about 130 students this fall. Children and parents go through a rigorous application process, but Harmony isn’t looking for kids with experience. “We’re just looking for children who really want to be musicians,” Fitzgibbon said. Music lover Paul Holguin, 10, said he was excited to begin the program. 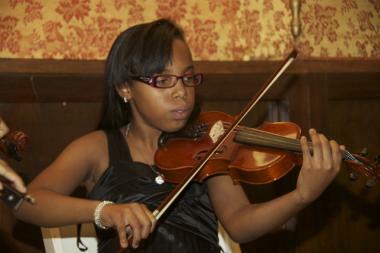 The 26 children in the Washington Heights program will learn violin, viola and cello. Fitzgibbon also wants to add brass and wind instruments and eventually create a full orchestra. “Our hope is that by putting music into their lives on a daily basis — we’re a daily program — we’re going to help them develop routines that help them in their daily lives in other areas, not just music,” she said.